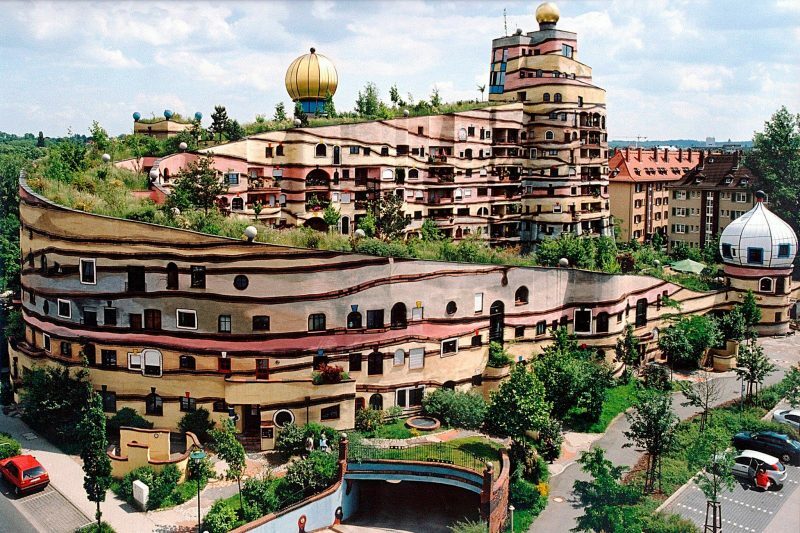 This impressive building in Darmstadt, Germany was designed by the artist, sculptor, and painter Friedensreich Hundertwasser and planned with the help of architect Heinz M. Springmann in the late 90s. 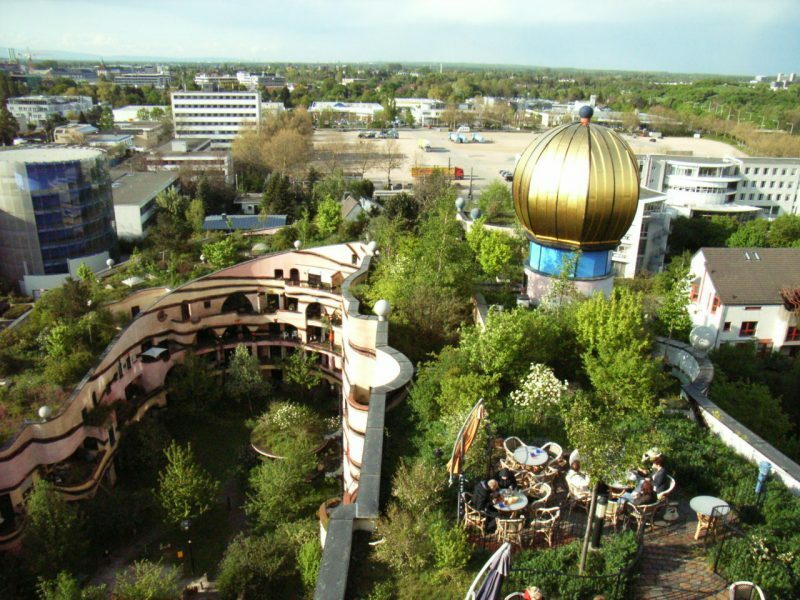 Die Waldspirale translates to “wooded or forest spiral” and it is a residential complex of 105 apartments that has become one of the most visited buildings in the country. This singular building design is known for its undulating facade, visibly influenced by the legendary Hanging Gardens of Babylon. 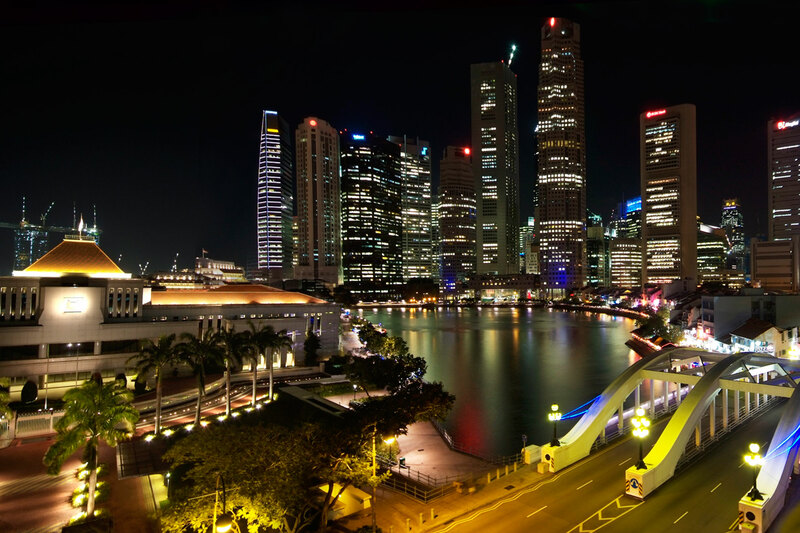 Besides being the residence of several people, it also has common areas that are open to the public; as a kiosk, a cafe, a bar, and some recreation areas for children. 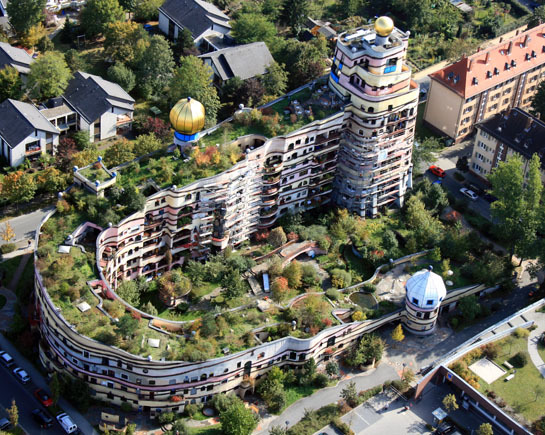 The Waldspirale is an asymmetric residential complex in which, creativity and ingenuity of the builders, who designed facades are spirally windows of different sizes, uneven doors, among other wonders can be noticed. Its incredible facades are worthy of admiration from any angle and they offer breathtaking views. The vegetation is an important part of this building, as it has several outstanding green areas dedicated to enhance the ecology of Germany. Adding color to green plants, all walls, fences, and domes of the building are covered with bright and varied colors. Also, the horizontal lines on the facade are an allegory of the different layers of the earth and its sediments that were deposited over millions of years ago.